The other day I was up late reading a wedding forum on Reddit. I found a post about a woman that was just recently engaged that stated she was under a lot of pressure to make a lot of very important decisions about her engagement and future wedding, almost immediately after her fiance proposed. Others chimed in as well and I read on, fascinated at the frustration of what I was seeing. It’s been a long time since I’ve been engaged. We celebrate 5 years of marriage this year and before that--life was a lot different. We own our own home, we’ve travelled, we have better jobs, and all of that. As a wedding photographer and wedding vendor, I find that I’m asking similar questions to my brides. When is your wedding date, what are your plans, where are you getting married, etc. These questions are valid and ones that I have to ask in order to know the information to better serve my brides. But, outside of that realm, there are many engaged couples that aren’t ready to plan their weddings. 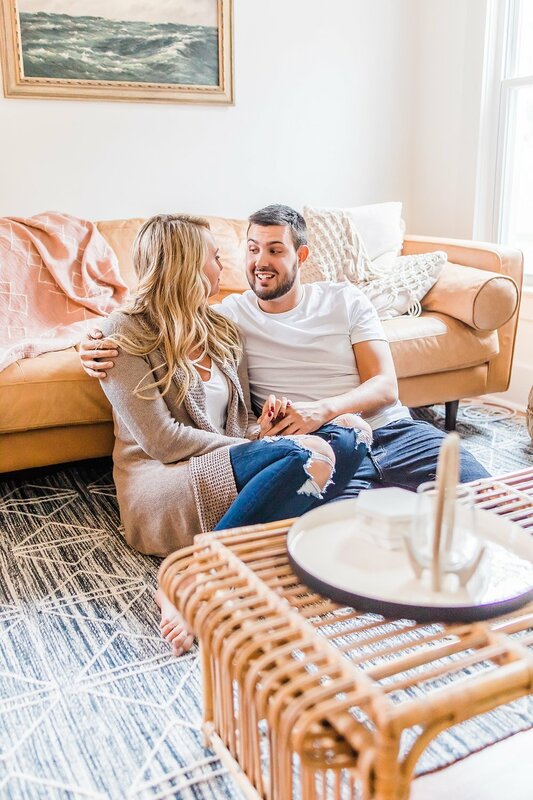 This is a blog post to validate couples that are choosing to enjoy their time being engaged and 5 things you can do together instead of planning your wedding. So let me say this. It is OK to be engaged. You don’t have to immediately put aside hours of your time the minute you are proposed to in order to begin planning your wedding. In fact, you don’t even have to think about that right away. Engagement is the next step toward a lifetime together and it plays an important role in your relationship. While, not legally yet bound together, you’ve promised one another the beginning of the best years of life. That doesn’t mean you need to find a venue and book a caterer tomorrow. Engagement can mean taking a long and worthwhile vacation together and while you’re there perhaps start to dream about your wedding day. It can also mean just going out with a new ring on your finger to show off to your friends along with your fiance of course! You’re by no means obligated to pick your wedding date, buy a dress, and march down the aisle right away. You’ll use this time together to begin planning but more importantly, to start real communication. Communication within a relationship is key and pinnacle to success. If you’re finding that it’s difficult to talk about your problems, engagement is the perfect time to begin practicing. Spending your time talking about what is important to you and your partner will equate to a healthy and stable marriage. When you say yes to being married, you begin a journey that involves two people planning, sharing, and contributing together. Both sides of are valid, both are important, and it takes two people to be married. That is why it is so important to listen and hear what your partner is saying. 2. Take a trip together! If you’re going to be married and you haven’t moved in with one another yet--that’s okay! If you’re keeping living quarters separate until the big day or not--consider taking a trip with one another. It can be long weekend, a full week, or something in between. The idea is that you remove all of the obstacles around you in order to focus exclusively on one another. Many times we are surrounded by friends, family, and things. On a road trip, all of the friends and family are left at home and you’re left with your best friend in a car--picking out your favorite energy drinks at the gas stations that change as you drive through the states together. You also get to practice more communicating during the planning phase of your vacation and what you’ll do while you’re there. A close relation to communication is compromise. When we actively listen to our partners, we become more in tune with how they feel and what they want. Life is very busy sometimes and hearing them above the noise of our daily routine can be difficult. Taking time to practice actively listening and if there comes a place where agreements cannot be made (even over small things like pizza or movies) compromise comes into play! Knowing that my wife does not like sausage pizza is kind of a bummer for me. I love meaty pizza with lots of toppings and her preference is cheese. Meat lovers pizza has cheese but it has other things she doesn’t care for--such as the meat. So as a compromise, I’ll ask her if she’s interested in a different topping (we both love black olives) and if she wants that then I’ll order it. Neither one of us get specifically and exactly what we want but we both still get something that we enjoy. Compromise takes the individual and removes the ego and selfishness from it. As a couple that is engaged to be married, there are many times we neither one of us will get exactly what we want. That is why compromise and its practice are important. I’m not suggesting that neither side receive something that they want but rather change their thinking, consider the other person, and find a middle ground. Whether that be ordering cheese tonight and perhaps getting general tso chicken tomorrow instead of just lo mein. We both love chinese food, I love pizza, so we still get what we want, but a modified version. My wife and I talk a lot about the days when we first met. Our first trip together was to Missouri’s wine country and it was one of my favorite times together. We weren’t engaged quite yet but went together and had an amazing long weekend visiting different wineries and learning more about one another. While this suggestion might fall underneath the take a vacation portion of this blog, it serves a dual purpose. When you’re married, outside of perhaps considering children, there is nothing further to pursue in regards to being together as a couple. Marriage is the final stop for those dating and engaged. That does not mean that we should stop romancing one another. It’s important to continue nourishing your relationship and to listen, date, go on vacations, and compromise. By taking moments together to go see a movie just the two of you, to plan a dinner whether it be Chinese take out or perhaps something more elegant, as long as you two are taking the moments to enjoy it, that always makes for a good date. This post talks so much about all of things we can do and usually they’re physical actions. Being present isn’t always a physical action but more of a state of mind. I’m the absolute worst at constantly being on my phone or just being ‘somewhere else.’ But I do put it down to enjoy being near my wife. Setting up habits now that will translate into your marriage later will make things stronger and better and if you can avoid having to deal with problems preventatively by practicing being together and present in your moments, you’ll live a much happier life. So, I hope that this has been helpful in your choice to not immediately begin wedding planning during your engagement. You can enjoy the moment, be present, continue to grow your relationship, and start working on making those important decisions together because marriage isn’t easy but it’s worth it and you know what they say, practice makes perfect.